A recent audit of over 300 UK pub and bar websites has found that many are missing out on customers because they lack the basic information and functionality required to meet pub-goers’ needs and expectations, according to digital pub & bar platform Useyourlocal.com. A 7-point system was used to determine whether each reviewed website: was legal and secure; was mobile-friendly; included key facts about the pub; featured a consumer sign-up page; was compatible with social media; was attractive to look at; and was updated with current events taking place at the venue. An overall score was then awarded based on points accumulated – and the average was just 5/10. “Astonishingly, we found that nearly half of all the websites we audited were not even mobile-friendly. Given that some two-thirds of online traffic is now primarily mobile-driven, that means there are significant numbers of consumers who just can’t find what they’re looking for. 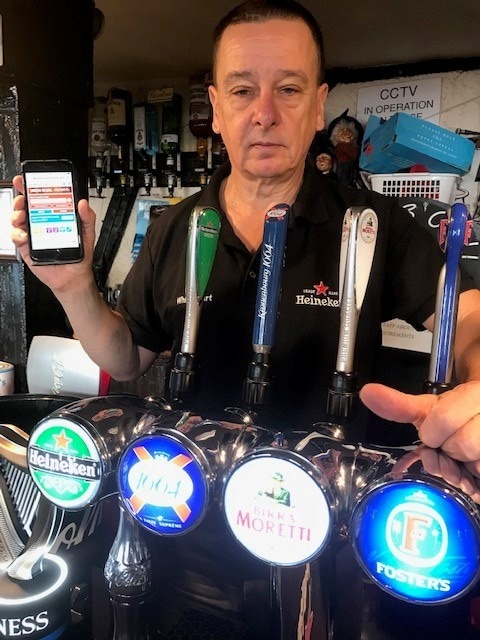 The White Hart Inn in Twickenham was one of the pubs included in the audit, and, after seeing how poorly his previous website fared, publican Steve Papworth decided to relaunch his business online with Useyourlocal. Since the new website went live he has seen his trade go from strength to strength, and he’s now taking an extra £400 a week.